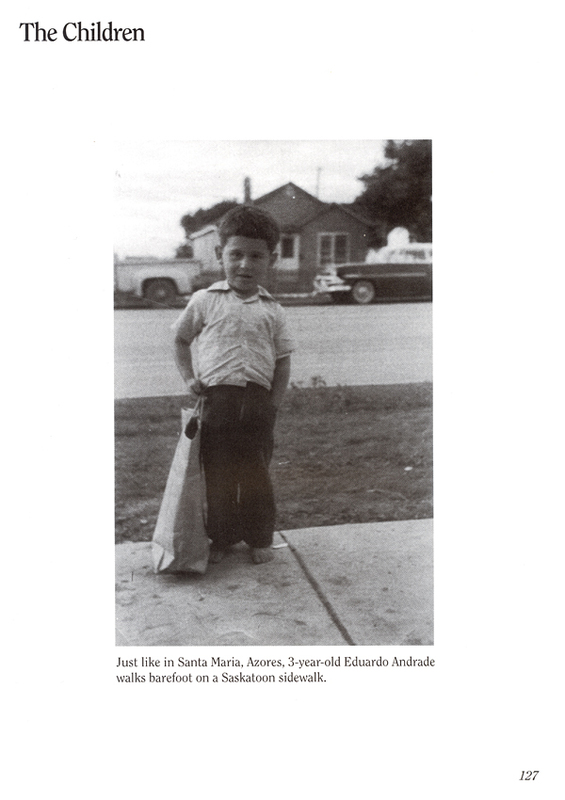 Norberto Ávila. “Açórico roteiro abreviado.” In Percurso de poeta. 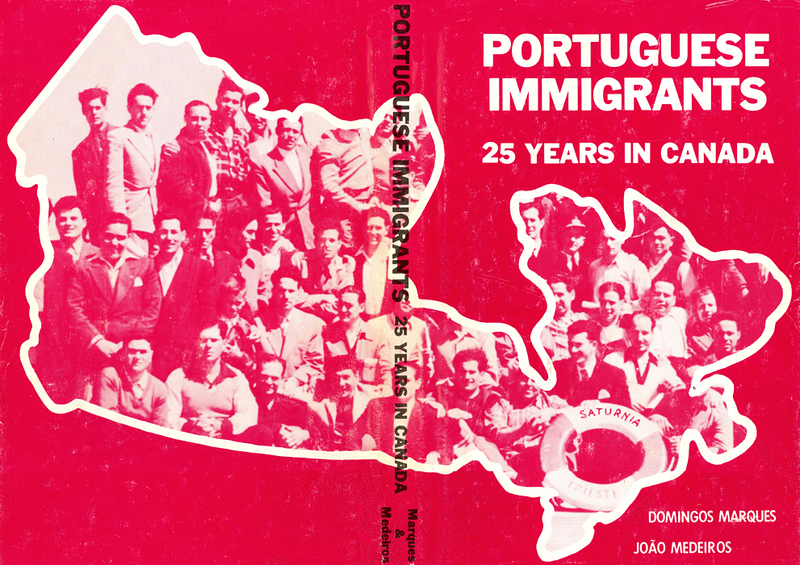 Stories gathered by Ralph Blank, U of T (PRT252 – Portuguese Island Culture). December 2015. Melo, Emanuel. 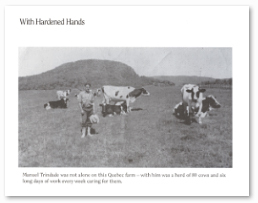 “What I should have told my father before he died: A Reflection on loss and redemption: a leaving (Azores) and an arrival (Canada).” Toronto, 2010. Melo, Emanuel. “Coming to Canada.” Toronto, 2008. Melo, Emanuel. 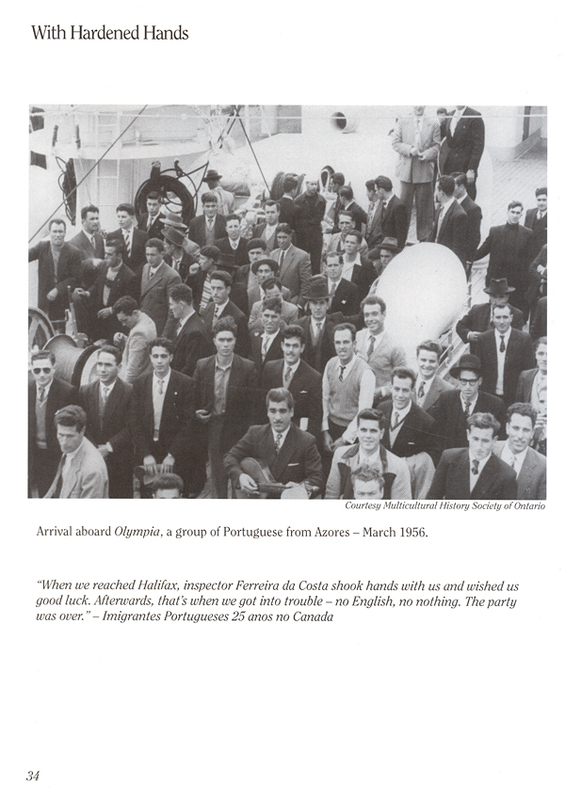 “My Life as a Portuguese Newspaper Delivery Guy.” Published in ‘Twas (Toronto World Arts Scene), Volume 8, issue One January/February 2004. Simas, Richard. “Walk Back, Look Ahead, a Chronicle.” Montreal, 2009. 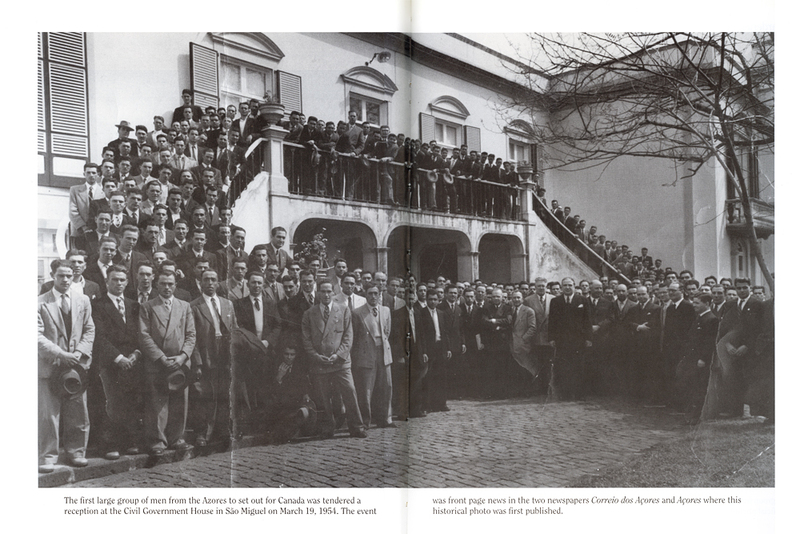 The first large group of men from the Azores to set out for Canada was tendered a reception at the Civil Government House in São Miguel on March 19, 1954. the event was front page news in the two newspapers Correio dos Açores and Açores where this historical photo was first published. Marques, Domingos and Medeiros, João. 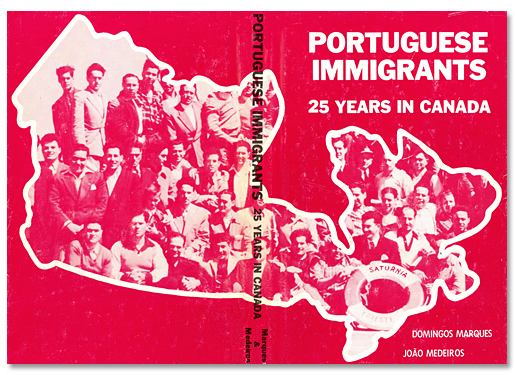 “Chapter II: Stories Told by the First Immigrants.” Portuguese Immigrants: 25 Years in Canada. Toronto: Marquis Printers and Publishers Inc.,1980. Arruda, Manuel. “Abandonned at the Station.” 56. Arruda, Manuel. 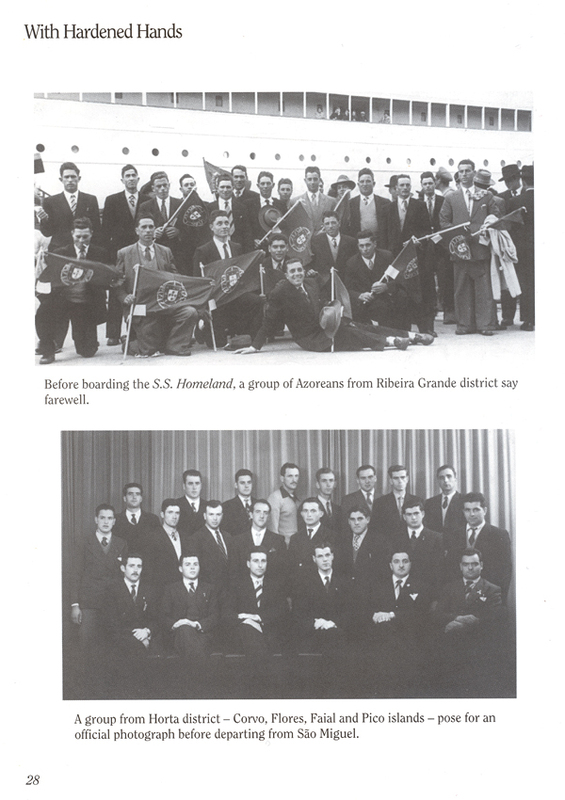 “The First Group from the Azores.” 41. 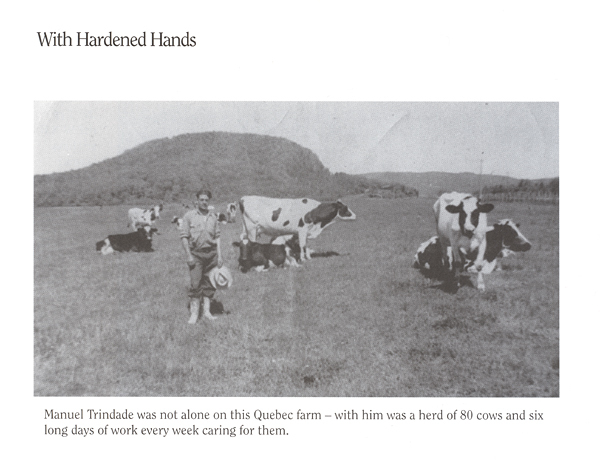 Trinidade, Manuel. 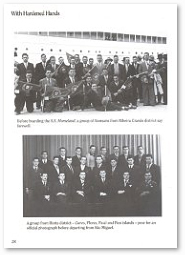 “I felt Obliged to Emigrate to Canada.” 49-50. Trinidade, Manuel. “My Sweat Ran Into the Bucket.” 69.